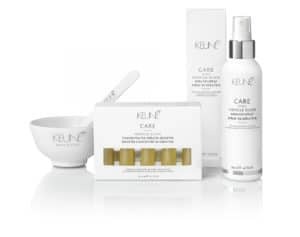 Come in and Experience an amazingly indulgent treatment by Keune… Miracle Elixir. Enjoy a 10min head and neck massage and hot towel Treatment while reducing hair damage up to 80%. This treatment will leave your hair looking and feeling like silk, to top it off you receive a free take home bottle to up keep the treatment at home, valued at $33.95.